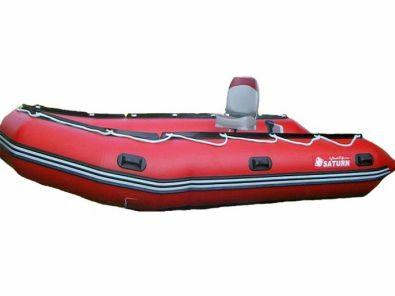 The 14 feet SD430 is a heavy-duty inflatable workboat, great for water rescue, diving or day trips almost anywhere. 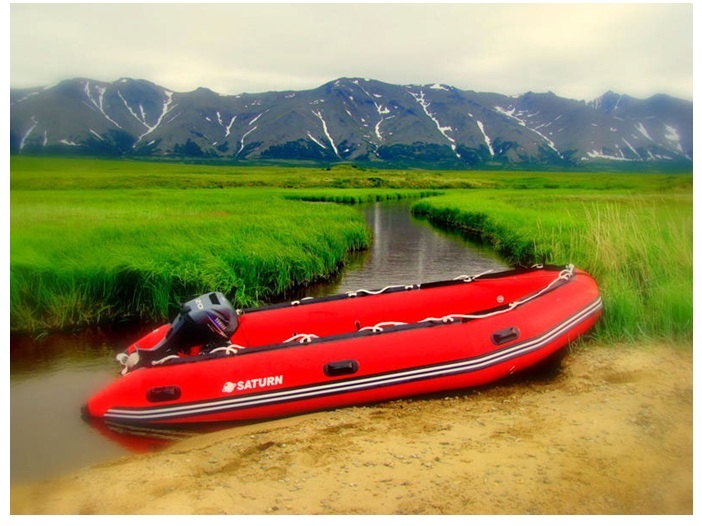 14' SATURN SD430 inflatable boats are made with premium quality materials, and can handle up to a maximum of 7 persons. 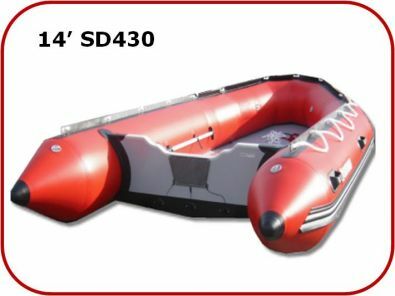 Heavy-duty SD430 takes up to a maximum 40 HP outboard motor, but will run nicely with a 25 HP motor. As reported by our customers, even with a 15 HP outboard motor and 2 people this boat can plane nice and easy. Inflation & Assembly: 40 min. "MN Folks: I have owned many boats, often three and even six at a time. 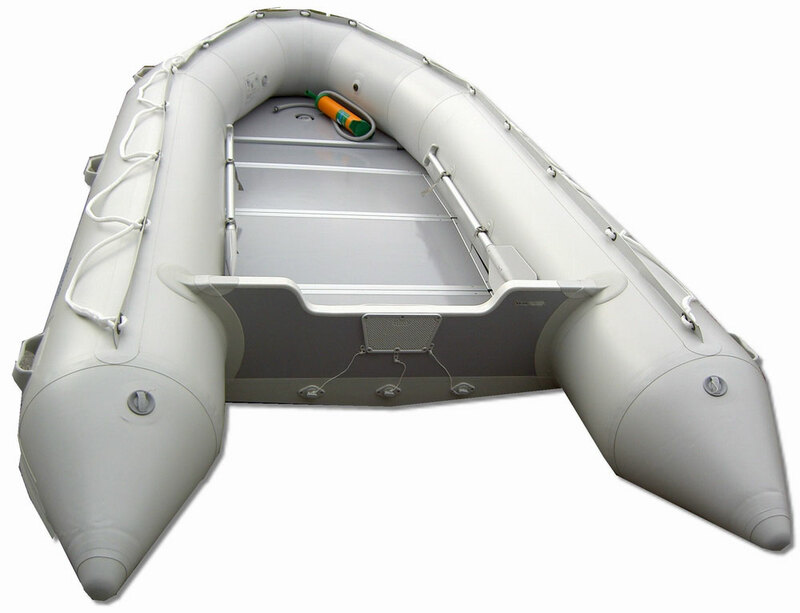 I am constantly searching for the perfect boat. In fact, I built a mahogany twin cockpit runabout, two ultrlights out of dacron fabric over a wood frame, and have restored boats up to forty feet. I decided your 14 footer looked perfect for me now, since the carrying capacity is huge and will accomodate either kid's family (we're grandparents) plus it should be easy to handle. We have now taken out the grandkids, each of whom drove it, and had a great time.I intent to buy a bigger engine but used a 2.6 hp Coleman when we were out with five people aboard, and I'm pretty sure we were doing 10 kts and trimmed perfectly. We bought a 150 gallon deck box for winter storage outside, and rolling it up on the trailer and rolling it right into the box was a breeze. (I put a bottle with holes full of moth balls into the box to keep critters out.) It may well be the perfect boat. I really like the red color, too, since every other one seems to be a drab gray. TNX and best wishes on your venture. Dave Boyer, Cape Cod"
"We used the boat for couple of times now. 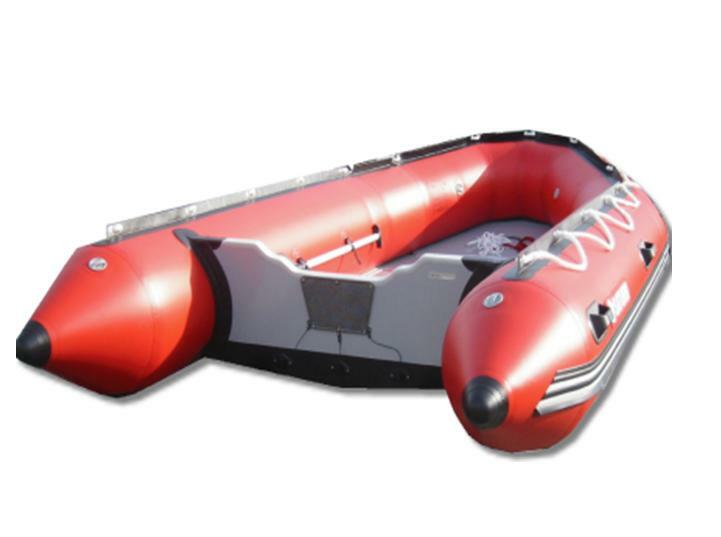 The boat is fantastic it very stable, fast and lots of fun. Thank you for great service and the great boat!!! !